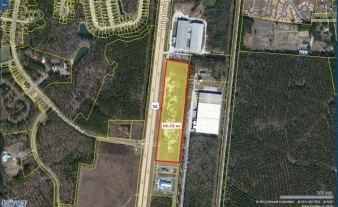 Cleared and level site in the heart of the fastest growing area of Berkeley county. Across from Foxbank Plantation, a rapidly growing community. Near Cypress Gardens Road. Property features approx. 1700 footage fronting Hwy 52. Water and sewer and gas available.